Its sounds like Google Inc. is trying to be the only one trusted in this BIG world of Internet.Yes its true Google Inc. has taken over Feedburner without disclosing any detail of the deal. The move means Google advertisers will have another, new avenue for their marketing and FeedBurner 's more than 430,000 publishers will be able to join the Google AdSense publisher network.Sounds really amazing hope it will work the same. 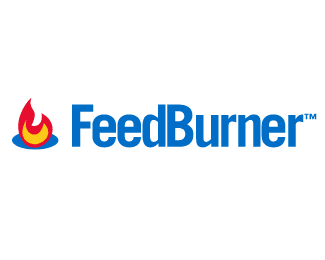 Chicago-based FeedBurner was founded in 2003 and has raised about $10 million in venture capital funding. The site allows blog owners to manage their RSS feeds and track usage of their subscribers. I was just trying my luck out for a domain which i thought would bring me instant fortunes. But i was mistaken someone other than me has struck to me has struck the pot of gold.Ok.Ok... clearing the suspense out the domain was Iphonehacks.com. Its been hardly a week since the iPhone launch and there is a site which gives to detail notifications about all the hacks in Iphone found till date.Some are very dangerous hacks to your iPhone like 'Disassemble Your iPhone' so try them at your own risk. '.asia' a domain tag soon. Internet addresses ending in ''.asia'' will be open to governments and trademark owners starting in October 2007, with general registrations starting in early 2008. The initial round, which starts Oct. 9, it would be limited to governments desiring geographical names such as ''china.asia'' and those with trademarks applied before March 16, 2004, and actively in use. Registrations for other trademarks and for company names begin Nov. 13. DotAsia Organization Ltd., an organization made up of groups that run domain names for China, Japan, South Korea, Vietnam and other countries, will operate ''.asia,'' which it sought as a way to unify businesses and other users in the Asia-Pacific region.The organization has said it plans to restrict registrations to those in the region, which includes Australia. Applications for the older, active trademarks will close on Oct. 30, and all other applications in the so-called ''sunrise'' period will be accepted until Jan. 15. General registrations will come after that, though DotAsia did not specify when. To discourage automated tools aimed at flooding the system on opening day, DotAsia will scrap the first-come, first-served model during the early registration period. Rather, all applications in a given round will be treated equally, with an auction held when two or more qualified applicants seek the same name. DotAsia did not say when winning applications could start using the names. Fees are likely to vary depending on which registration company an applicant chooses to process the name on DotAsia's behalf. Demand for the new names has generally been low, compared with old-timers like ''.com,'' but many foreign businesses consider ''.com'' primarily a U.S. domain, and latecomers to the Internet have found the best names already taken. Adsense Blog recently announced AdSense Referrals 2.0 program which will soon be available to all AdSense publishers in referrals-supported languages. You will earn money from AdSense Referrals 2.0 by referring your potential visitors/readers to thousands of products on a CPA (Cost-Per-Action) basis. This means that there is a specific action such as online sales, registrations and signups that your visitors must complete before you generate earnings from referral products.Sounds something interesting. Here are some key benefits. Expanded product inventory: While many of you have had success referring one of our Google products, some of you weren't able to find a product that fit the context of your site. Referrals 2.0 offers products from thousands of AdWords advertisers, so you can find the right ads for your sites. Category and keyword targeting: With thousands of products available, it can be difficult to decide which ads will perform best on your site. That's why we give you the option to refer products by category and keyword. You can narrow down the types of ads you want to display and let AdSense figure out which ones will perform best on your site. Whether you want ads for a specific category, advertiser, or product, referrals 2.0 will give you the control to decide. Ad unit optimization: It can be tricky picking the best ads for your site, so we've included ad unit optimization for referrals. When you create a new referral ad unit, simply select the Pick best performing ads option. We'll then compare your selected ads to other relevant ads, and serve the ads we expect to perform best on your site. Better targeting for pages with multiple themes: With standard contextual targeting, ads may not match up directly with the text around them if there are a number of themes on the page. With referrals, you can select unique “keywords” for each ad unit to narrow the targeting directly to the theme you want. Better targeting means higher earnings for your site. Greater compensation for high-quality traffic: Since referrals are paid on a cost-per-action (CPA) basis, your traffic matters. If the traffic you send to advertisers is more likely to turn into a completed sale or lead, you will earn more with referrals. Add your seal of approval: Unlike AdSense for content ads, our program policies allow you to make special preferences referral ads on your site. If you endorse the product that you are referring, feel free to let your users know. By adding your personal review of the products you refer, you can help your users make more informed choices. Apple sold half a million of iPhone in 48 hours!! It is estimated that Apple sold around half a million iPhones in the 48 hours .Besides this actonishing big number, there are a couple other hair raising numbers to be worried about: 95 percent of them were 8GB version and about half were new AT&T victims customers. Despite so many lacking features in the iPhone the sale still is shocking many have even encountered iPhone to hang up after their first happy use. If you haven't purchased yours don't worry,Apple stores still have a lot of 4GB versions left in stock. Or if you still want 8GB versions you could chew your nails and wait for 2-4 week ship time from the online Apple Store.